Essex Hemphill arrived in Washington as a child. -- Essex Hemphill, “For My Own Protection”, Ceremonies, 1992. "[Tongues Untied] is about desire and diversity, which we have not fully addressed. That is why we are having so much trouble coming into our communities and talking about AIDS. We do not want to recognize that we are not a sexual monolith." Born in Chicago and raised to manhood in Washington, DC, Essex Hemphill gave voice and metaphor to the lives of African-American gay men. As a performer, partnering in Cinque with playright Larry Duckette and musician Wayson Jones, Essex gave voice to his own work and that of others in a uniquely syncopated a capella style. He was at the heart of Washington, DC’s African-American gay and lesbian literary and performance renaissance of the 1980s and 1990s which centered on the ENIKAlley Coffeehouse and on dc space. His poetry and his performances proved memorable evocations of the challenges of being black and gay and young in the midst of the AIDS epidemic. For filmmaker Marlon Riggs, he brought voice and energy to Tongues Untied and Black is ... Black Ain’t as well as to Isacc Julien’s Looking for Langston. Essex’s poetry and prose is inextricably linked to African-American gay life in DC and across the country. Evocative of the despair and joys of African-American gay life and seminal in its influence on the community about him, Hemphill’s confidence and joy in himself and others, his anger at discrimination and violence, and his strong belief in “being accountable to ourselves and to one another, truthful and honest, and of course open to change” ran like an anthem through his community.” His writings on AIDS articulated the anger, despair, and commitment of his generation. Essex Hemphill was a fierce defender of artistic priorities. In a famous dispute with DC’s literary mavens he refused to delete a reference to “corruption” from a performance of his poem “Family Jewels.” Having agreed to delete it before the performance with Wayson Jones, he went ahead and performed the poem in its entirety. Essex was at the center of the African-American gay and lesbian euphoria that enveloped Washington, DC following the creation of the DC Coalition in 1978 and the publication of BlackLight and the convening of the Third World Conference in 1979. The creation of authentic political and cultural organizations in the African-American gay community provided an essential audience and performance spaces for artists. 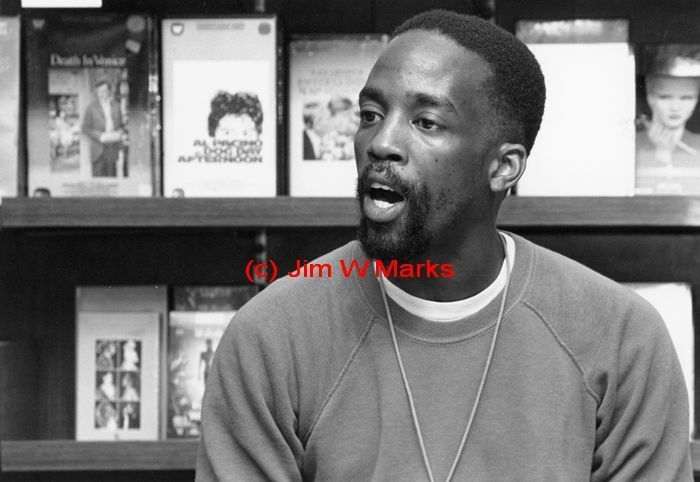 Essex Hemphill’s work continues to speak to audiences today. As each new generation discovers his work, the words, metaphors, and convictions find a new echo.